Obituary for Walter Edward Potter | Thomas E. Fickinger Funeral Home, Ltd.
Walter Edward “Ed” Potter, 76, of Potter Game Club Road, Coudersport, passed away Saturday, March 10, 2018 at UPMC Hamot, Erie. Ed was born on September 24, 1941 in Coudersport, the son of the late J. Erwin and Cloma (Jestes) Potter. He married Marjorie Rebecca “Becky” Miller, she preceded him in death on November 26, 2014. Ed was a graduate of Coudersport High School, Class of 1958 and served his country in the Army from 1958 to 1962. He worked for Springfield Contractors, Glen Rock as a Sewer Construction Foreman until he retired in 2007 after 35+ years of service. 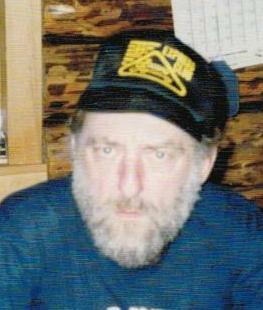 Ed was an expert wood worker, an avid mechanic and loved working on cars and trucks. He was featured in Construction Magazine, attended Woodstock, enjoyed NASCAR and met Elvis Presley when called out to repair a tank in Germany while in the Army. He was a member of the American Legion Potter Post 192, Coudersport and the Veterans of Foreign Wars Post 7810, Austin. Surviving are two sons, Brett E. Potter and Mitchell D. and his wife Lori Potter all of Newport, RI; their mother, Dorla Turner of Coudersport; two step daughters, Audrey Moore of Ellenton, FL and Rhonda McWilliams of Andover, NY; a sister, Linda and her husband John Kaiser of Portville, NY; and two grand dogs, Bella and Elvis. In addition to his parents and wife, Ed was preceded in death by a brother, Rodney Potter and a sister, Phyllis Gaberseck. Family and friends are invited to celebrate Ed’s life, Friday March 16, 2018 from 6-8 p.m. at the American Legion Potter Post 192, 2 Buffalo St, Coudersport. Family suggest contributions in Ed's name be made to The Coudersport Public Library, 502 Park Avenue, Coudersport, PA 16915.